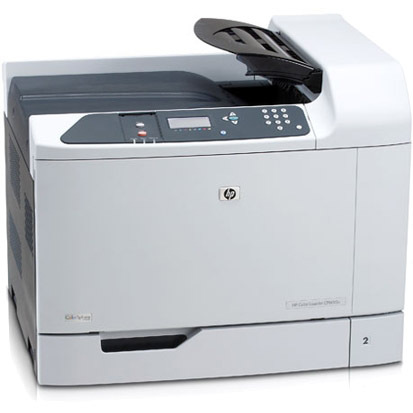 Get the best prices on HP Color LaserJet CP6015dn toner from 1ink.com and say goodbye to original equipment manufacturer (OEM) prices! You know your printer produces quality work for the whole office, but keeping it stocked with OEM HP cartridges can get very expensive – buying OEM versions of all four cartridges (black, cyan, magenta, and yellow) will typically cost over $1,000! Thankfully, 1ink.com is here to help your office blast through the toughest work assignments at a much lower price. We offer our cartridges individually, or in a convenient, cost-saving four-pack! 1ink.com’s remanufactured toner cartridge is guaranteed to give you the performance you need. Our black remanufactured HP 823A toner prints up to 16,500 pages and each remanufactured color HP 824A toner cartridge is capable of printing up to 21,000 pages, giving you all the print power your fast-paced office will need. You’ll also save over 60% off the OEM price by choosing 1ink.com’s remanufactured toner cartridges, all while getting the professional-quality print work you need.